The North Texas Spirits Society met for a tasting of Scotch Whisky and the lineup was pretty spectacular. I can honestly say that there wasn’t a single poor that I would consider average – they were all very good. The standouts for me were the Glendronach 21 Year Single Cask (see my review here), Linkwood-Glenlivet 23 Year and Lagavulin 12 Year 2014. As is the custom of the group, there are bonus offerings from several members of the society that are revealed after the official lineup is completed. I was really impressed with all 3 of the older offerings, particularly the Longmorn 15; however, the Buchanan Deluxe bears mentioning as the best blend I’ve ever tasted. I wish that they still made them like this one! I have the 2 Cairdeas offerings, so you should see them reviewed eventually. Posted in Whiskey. Tagged Aberlour, Ardbeg, Bladnoch, Blended, Bowmore, Buchanan, Campbeltown, Coleburn, Glendronach, Glenfarclas, Islay, Lagavulin, Laphroaig, Linkwood, Longmorn, Mortlach, Single Malt, Speyside, Springbank, Tamdhu, The MacAllan, Two Brewers. Old Grand Dad 114° 1980 ($18) – Notes of cherry, vanilla, lemon, pear, tobacco, char, anise… somewhat tannic… very good! Brenne Single Malt ($60) – dark red grape, bubble gum, strawberry, ice cream, black pepper, overripe banana… very interesting and a decent dram. Balvenie 42 Year Old 1971 Cask #5034 Sample #130613031 – We were quite fortunate to have 1 of only 3 bottles in the world present for this tasting tonight. This is one of the components of Tun 1401, Batch #9… 52.4% ABV and mildly earthy with notes of truffles, straw, fresh cut grass, apple, pear, mild honey and white pepper with a mildly woody finish… it just got better and better as I let my pour linger for the rest of the evening… outstanding! Bruichladdich 22 Year Old October 9, 1991 (Exclusive Casks) – 50.6% ABV with a briny, spicy sweetness of honey, ginger, white pepper, black pepper, vanilla and cereal… very good stuff! Probably Speyside’s Finest Distillery 22 Year Old June 1991 Single Cask Refill Hogshead ($120) – This was a Binny’s selection that is probably from Glenfarclas at 50% ABV… notes of honey, white pepper, ginger, apple and pear with a great mouth feel… excellent! Yamazaki 18 Year Old ($200) – nice balance with great mouthfeel… notes of dark fruit, honey, pear, mild spice, mild wood… excellent! Glendronach Cask Strength 2013, Batch #3 – 54.9% ABV with earthy notes as well as caramel, vanilla, tobacco, truffle, ginger and pear… outstanding! Aberlour A’Bunadh Batch #45 ($70) – 60.2% ABV with notes of ginger, bright fruits and pepper… another very good batch. MacAllan Cask Strength ($80) – 60.1% ABV from a sherry cask… notes of ginger, pepper, honey and cocoa… pretty good. Brora 30 Year Old 2007 6th Edition – fantastic as when I had it before… farmy, earthy, fruity, spicy… outstanding! Strathclyde 29 Year Old Single Grain 1980 (Duncan Taylor Cask #1497) ($180) – 56.7% ABV best Scotch grain whiskey I’ve tasted… fruity, mild spice… very nice. JJ Neukomm Single Barrel Missouri Malt Whiskey – cherry wood, tannic, green apple, herbal, anise… not bad, but nothing great. Ardbeg Corryvreckan L9 2009 – less peated than any Ardbeg I’ve had… fruity, sweet, slightly medicinal… typical Ardbeg and very good. There were 4 others after this that I missed: Ardbeg Auriverdes, Glen Mhor 26 Year Old 1978 (Scott’s Selection), KaVaLan Single Malt 2013, KaVaLan Single Malt Port Cask Finish 2012. I was just too tired to continue at this point. I did get a quick taste of Auriverdes in order to decide whether I wanted a bottle on hold for me… it was pretty good, but I passed at $82. These private tastings have been the most rewarding and interesting, if not the most grueling. For tonight, the highlight for me was the Glendronach Cask Strength, with the Balvenie 42 Year Old Cask Sample as a close second. Of course, I was delighted to have another go at Brora 30, which is one of the best whiskies that I’ve tasted. Honorable mentions go to Probably Speyside’s Finest Distillery 22 Year Old, Yamazaki 18 Year Old and Strathclyde 29 Year Old Single Grain. Posted in Whiskey. Tagged Aberlour, Amrut, Ardbeg, Bourbon, Brenne, Brora, Bruichladdich, Glendronach, Glenfarclas, Highland, Islay, Jim Beam, Linkwood, Single Barrel, Single Grain, Single Malt, Speyside, Spirits of St. Louis, Strathclyde, The Balvenie, The MacAllan, Yamazaki. 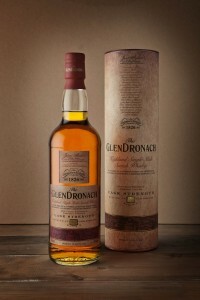 This one was a cask strength bottling (51.2%) with notes of bright fruit, honey, ginger and a woody, bitter finish. A bit of water exposed some nuttiness. I’d say it was decent, but I’d pass on this one. Another cask strength bottling (54.1%), this one was also fruity with a bit of spice and the fruits carried over into the finish, being joined by a mild nutty flavor. Water really opened the fruit flavors up and revealed a slight creaminess. This is a solid whisky, but not worth the asking price. The first peaked whisky of the evening with notes of dried fruit, clover, ginger and herbs. The finish was herbal and leathery with a touch of cocoa. The nose was mellow with touches of fruit and grass. Unfortunately, this was another solid whisky that was overpriced… another pass. This was only my third Longmorn (the first one was a younger expression, also from Berry Bros and Rudd and the second one was another 20 Year Old from Master of Malt… both disappointing) and it was the first eye opener of the evening. This one smelled and tasted a bit like bourbon with notes of caramel and vanilla on the nose, then adding dark fruit, lemon and honey flavors. The caramel carried through to the finish, which became slightly leathery and peppery, mostly of white pepper. While this one was well done, I’m not a fan of white pepper and that was enough to put me off of this one and on to the next one. Another nose that reminded me of bourbon, but with a light delicate characteristic. The taste was also light and fruity with a bit of pecan. The finish was long and light, eventually adding some spice while the nuttiness lingered. There’s nothing bitter about this one and the operative word for me was, “delicate.” I thought this one was fantastic! The sherry influence was immediately noticeable on the nose. Flavors of plum, hazelnut and anise were joined by dark berries and sage on the finish, which lasted quite nicely. This is a big whisky with lots of flavors lining up to be noticed. None of them overpower the others, which keeps me interested and searching for more. This is one I’d like to spend some additional time with. In fact, this one was so good that I was still reflecting on it when the next sample arrived and had a hard time shifting my attention away from it. While this was a good whisky, it had the unfortunate distinction of following the fantastic Imperial. It was hard not to keep reflecting on what had just happened, but I finally managed to focus and give it a fair shot. I’m glad I did as it was another solid offering. This was the second, more mildly peated whisky of the evening with a mildly fruity nose and a nutty, slightly medicinal flavor profile. Also present were notes of marshmallow and nuts as a light and spicy finish was unveiled. This was my first Strathmill and it was very good. I had learned about the two offerings from Michel Couvreur recently and was interested in learning more. I was pleasantly surprised to see their more expensive offering on the slate tonight. This was a very unique whisky that reminded me of Earl Grey tea, with it’s notes of lavender, heather, bergamot along with light fruit and ginger. The lavender was present from nose to finish, providing a consistent context for the other aromas and flavors. I don’t know if I would want to drink this often, but it might be a nice whisky to have once in a blue moon. If you like Earl Grey, then you should definitely try this one; conversely, if you don’t like Earl Grey, then I would stay away from it. The clear winner of the night was the Imperial, which I took home with me. A complex, bold amalgamation of fruits, nuts and spices, it grabbed my attention immediately and held it throughout the (unfortunate) next pour, which it overshadowed by a mile. Honorable Mention goes to Michel Couvreur’s Pale Single Malt, which was true to it’s tasting notes of lavender and heather. The unique flavor profile intrigued me; however, at $30 less I’ll probably have to pick up their Overaged Single Malt. It’s a blend of sherry casks up to 27 years old and I hear that it’s the better of the two. Posted in Whiskey. Tagged Arran, Bruichladdich, Glen Garioch, Highland, Imperial, Islands, Islay, Linkwood, Longmorn, Single Malt, Speyside, Strathmill.